Guest Blog – Shelly Divido from Jacksonville, Florida. My first trip to Guatemala with Bethel Ministries International was in April 2014. It was such an amazing trip. I cannot say enough about how wonderful the Mooney family and the staff at Bethel is. The love of Jesus truly overflows from each of them. 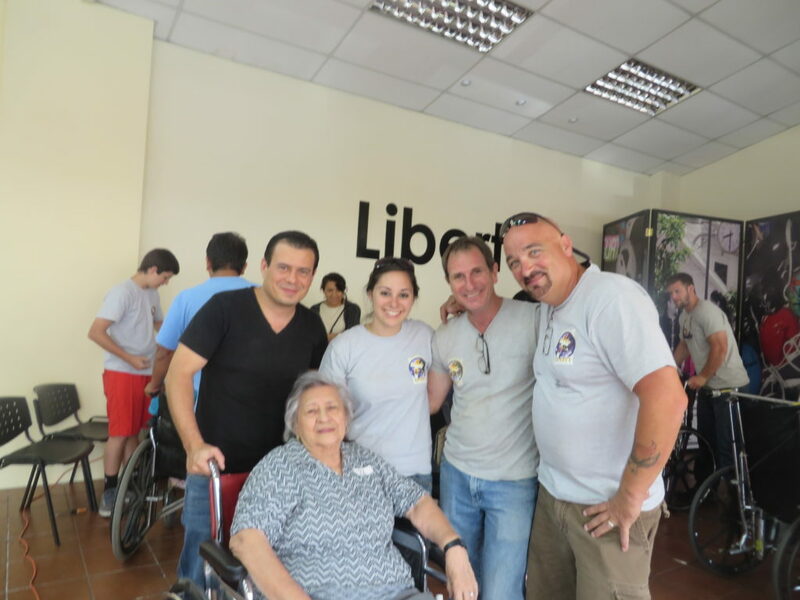 We built a couple houses, did home visits, and a wheelchair distribution. Each project was an amazing experience. Honestly my first wheelchair distribution was overwhelming. There was so much need. And personally, the only interaction I had with a wheelchair was with my grandma. Fifty to sixty handicapped adults and children traveled who knows how far just to receive a wheelchair that day. Most of these people have had no way to get around other than their faithful family members who would carry them everywhere they needed to go. And these aren’t just young kids. Many are older men and woman that have been handicapped their whole lives without ever having the opportunity to be mobile. Many people in the US have the opportunity to get a wheelchair through insurance. Many people even have an old wheelchair stuffed away in storage. 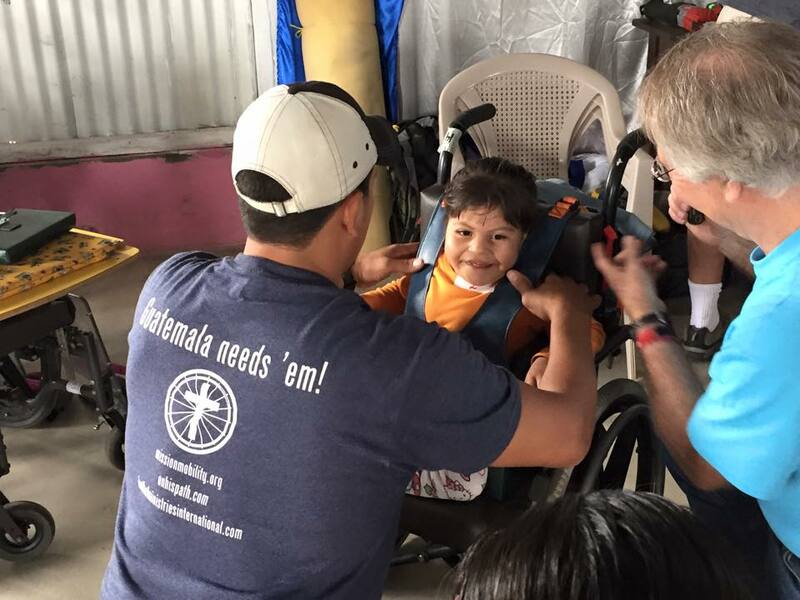 Yet, the only opportunity most Guatemalans have to get a wheelchair are through ministries like Bethel Ministries International. To have the opportunity to lift one of these Guatemalans out of their chair and put them in a wheelchair for the first time, giving them the freedom of mobility was life changing. Joy just overflowed from each one of them. Then to be able to share the gospel with them was just the icing on top. It was overwhelming emotionally, mentally, and spiritually. To see God work through a simple wheelchair that so many of us take for granted left my heart bursting with joy and praise. 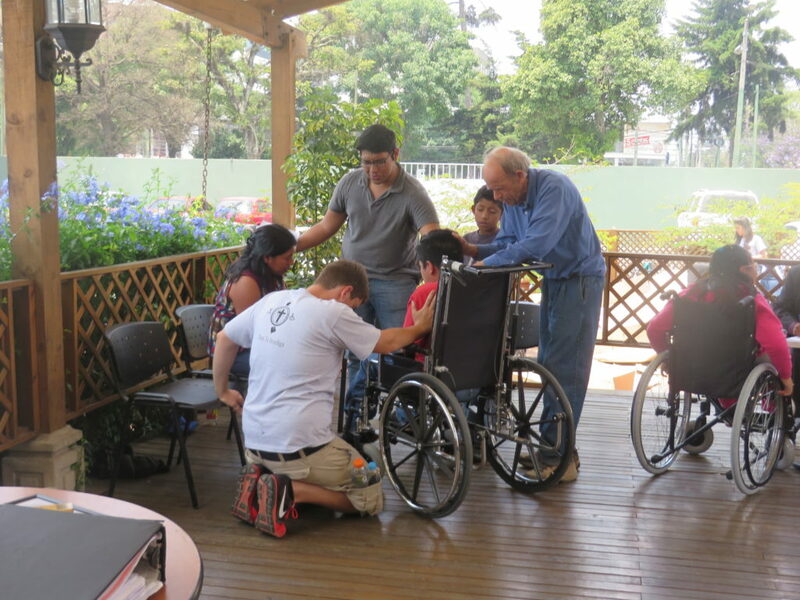 Bethel Ministries International has a wheelchair distribution serving 50-70 people almost weekly! This means that they need wheelchairs! 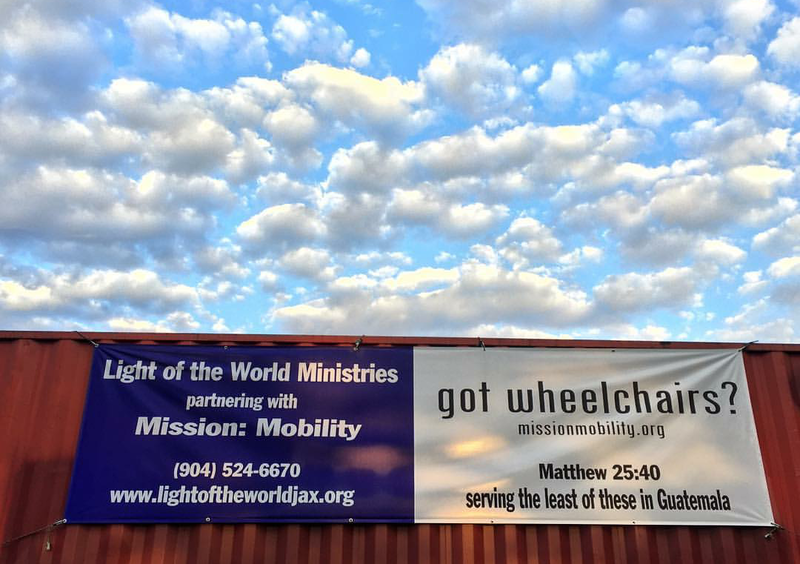 My husband and I have a ministry in Jacksonville, FL that is blessed to partner with Mission: Mobility to collect wheelchairs to send to Guatemala. With the help of volunteers we were able to collect wheelchairs, walkers, crutches, and much more. We loaded and shipped a 40 foot container, the first one out of Jacksonville, on April 4, 2016! Praise the Lord! Each item we collected will soon be in the hands of a person in need. Not only will a physical need be met, but it will open up the door for our friends at Bethel to share the gospel and shine light into darkness. We have been to Guatemala five times since our first trip and leave for our next trip in just a couple weeks. Each time God has done miraculous things at the wheelchair distributions. We cannot wait to see what He does at the distribution we will be serving at next month! Mission: Mobility is such a blessing and has made it so easy to collect and ship wheelchairs! We thank God everyday for these ministries that bring the hope of Jesus to those in need. Get involved! Whether you are collecting wheelchairs, serving at a wheelchair distribution, or simply getting the word out your life will be changed and God will be glorified! This entry was posted in Uncategorized on April 28, 2016 by rfultonmission.